An example of symmetrical balance in the piece are the Eternity Gates found on the inside short ends of the box. The gates are positioned symmetrically. 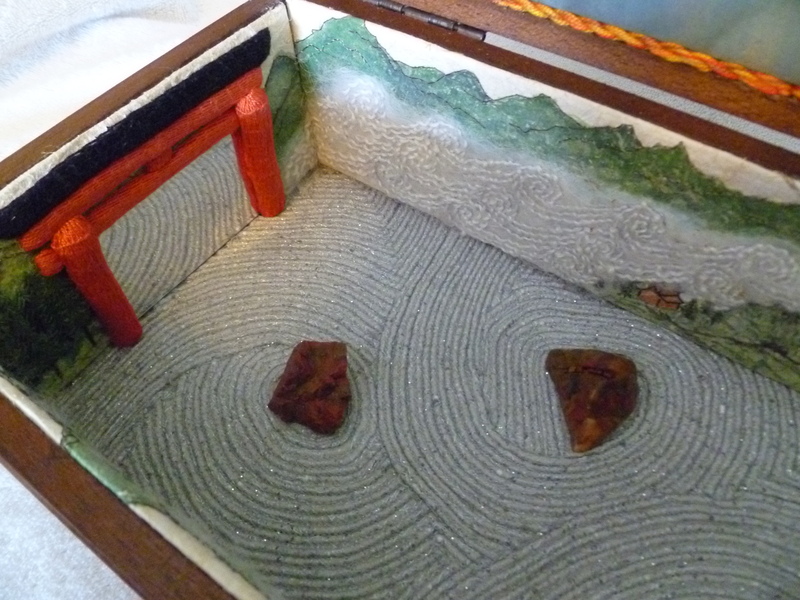 The two shoji gates are meant to represent birth and death – the gates to life, as we know it. The Eternity Gates are done with a Casulguidi stitch in colors that traditionally represent life and vitality (red)[i] and the mysterious or unknown (black)[i] in the Japanese culture. The mirrors are placed so that they reflect each other. This did not turn out as well as I would have liked. I made them as large as possible and if you were walking in the garden you would see that each reflects the other – creating a reflection that continues into eternity. The viewer of the garden does not get this effect since they can’t look into the mirrors at the correct angle. I am not sure how to fix that problem, but they are symmetrically balanced! The central courtyard of the garden itself demonstrates symmetrical radial balance. Each of the stones are placed in the center of a spiral, the spirals are flipped along an axis, creating symmetrical balance that represents the twists and turns of experience. Each of the stones is polished to a different level representing the effect that life experience has on each of us. We may begin as rough as the ‘child’ stone, but by the time we near our ‘old age’ stone we have become smooth and our true colors shine forth in beautiful radiance. The stones are Poppy Jasper, a mineral that is only found in my hometown, Morgan Hill, California so it has special meaning for me. I have lived here all of my adult life after a childhood of moving from place to place,[i] so this is where most of my ‘personal polishing’ has occurred. 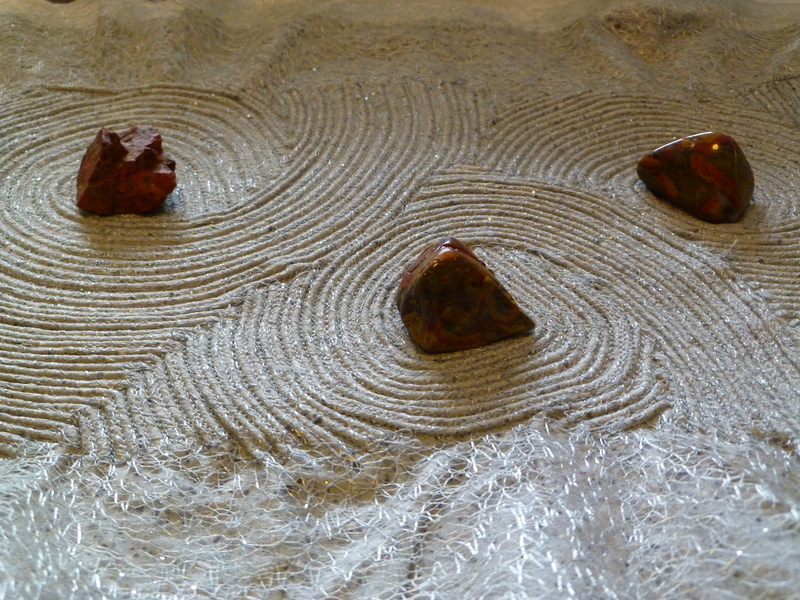 The swirls represent the raked gravel found in a Zen garden. The monks who tend these gardens rake the gravel into patterns as an exercise in meditation and focus. They strive to create perfect placement of each ridge, even as we strive for perfection in the areas of our lives which are important to us personally. Now that’s something to reflect on! [i] I moved 27 times before I graduated from high school. Since I moved to Morgan Hill when I married I moved once – a mile down the road! Let’s take a look inside the box. 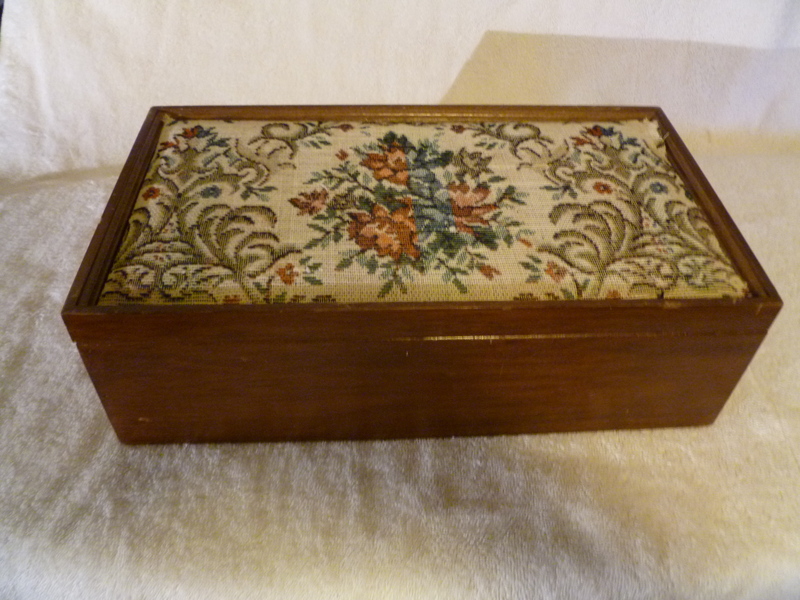 There is a riddle stitched on the inside top of the box is also placed in a centrally symmetrically balanced position. This was done to give it weight and importance. This riddle gives the viewer the key to the entire box so deserves attention. The riddle of the Sphinx is credited as being the oldest known riddle[i] and the answer gives insight into each stage of life. 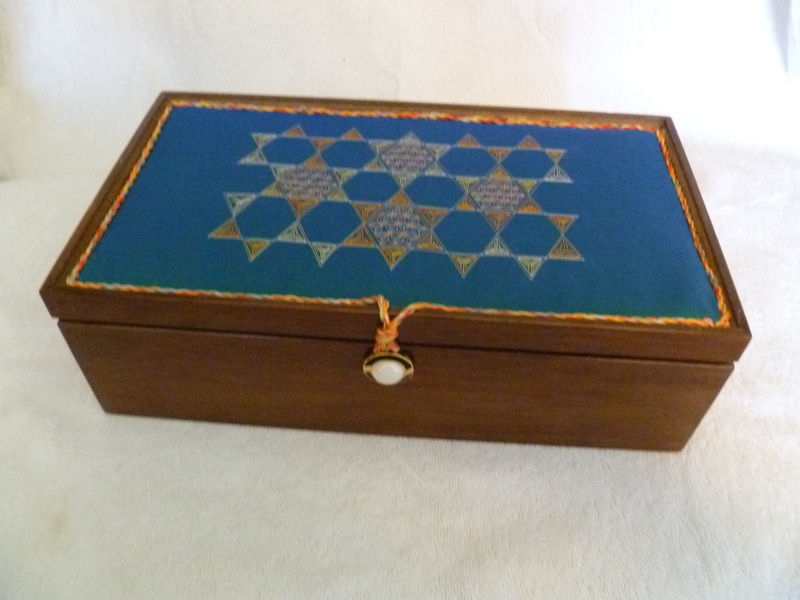 It is stitched in gold threads to highlight its importance and tie it to the geometric on the outside lid of the box. The riddle serves to anchors the piece, and further symbolizes the idea that life itself is a riddle. 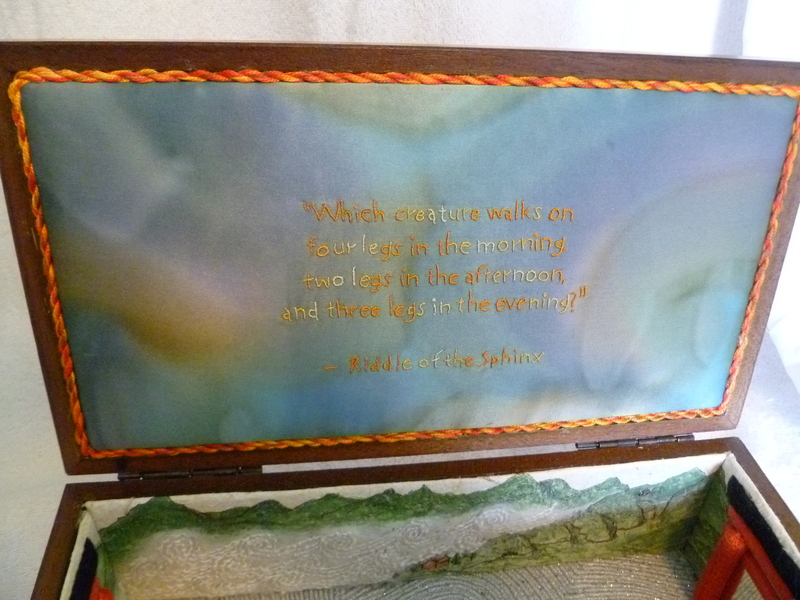 I want to share with you the most recent piece to come out of my workroom. This is the second Secret Garden I have created. The first is a traditional English flower garden that resides in a vintage cigar box on my piano. I don’t know if there will be more gardens in my future but I suspect so. This garden started as a ‘garage sale find’ my son brought home. As you can see, it has been transformed. I will explain the piece in terms of the design elements of Content, Balance, and Pattern. This is what I would share with you if I were able to walk with you through my Zen Secret Garden. 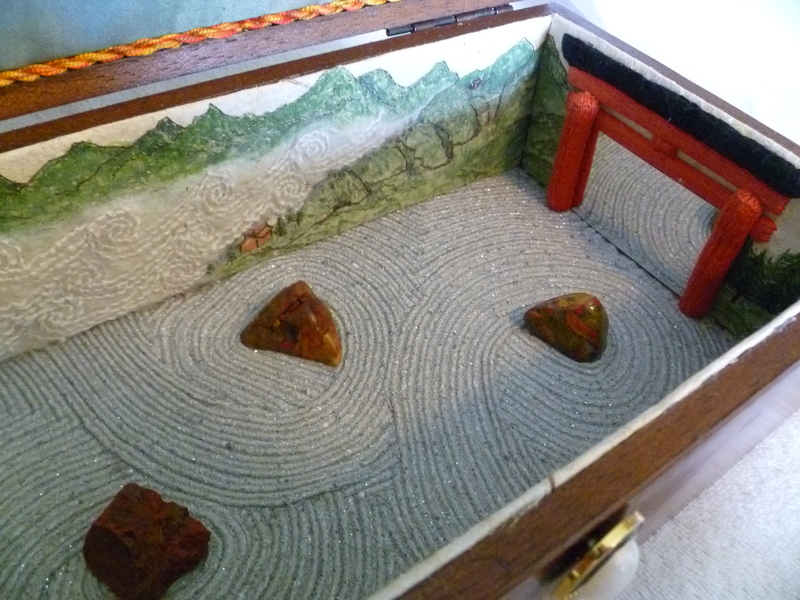 A Zen garden is a place of peace and contemplation. This garden is designed to help the viewer contemplate the stages of life. Each of the elements used in the design relate to various stages of life’s journey inviting the viewer to reflect on their own travels from birth to death.The inspiration for the top came from Marie Wilkinson’s Chinese Geometrics. 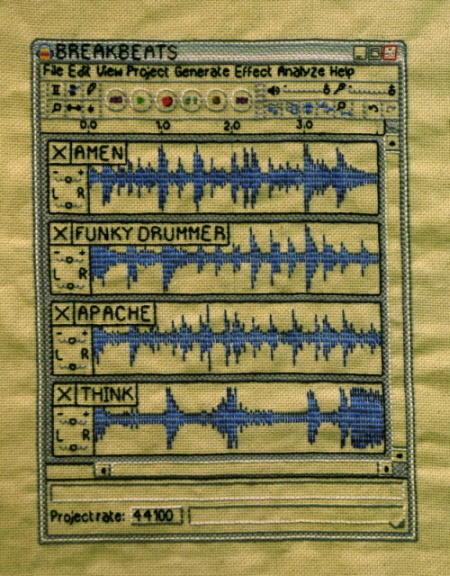 The project was a 1980’s era UFO passed along to me from a stitching friend. For this piece I used several different types of balance to create a unified but interesting piece. 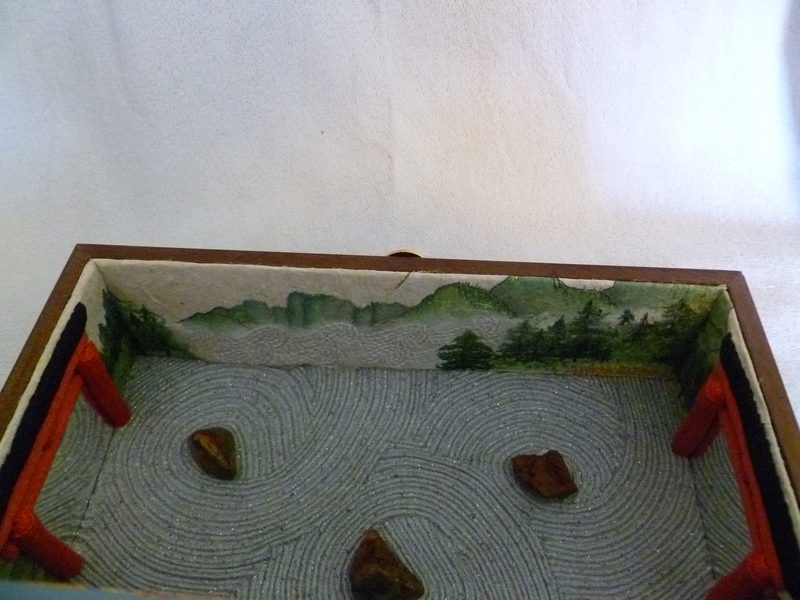 A Zen garden should have a feeling of peace and stability so I used symmetrical balance in several places to enhance these qualities. 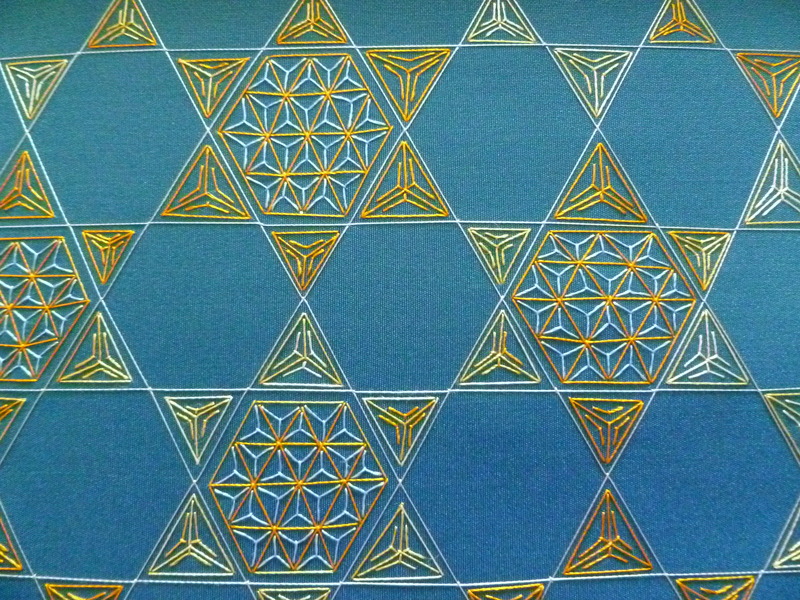 I started building this feeling of stability by using symmetrical balanced hexagons on the outside cover. 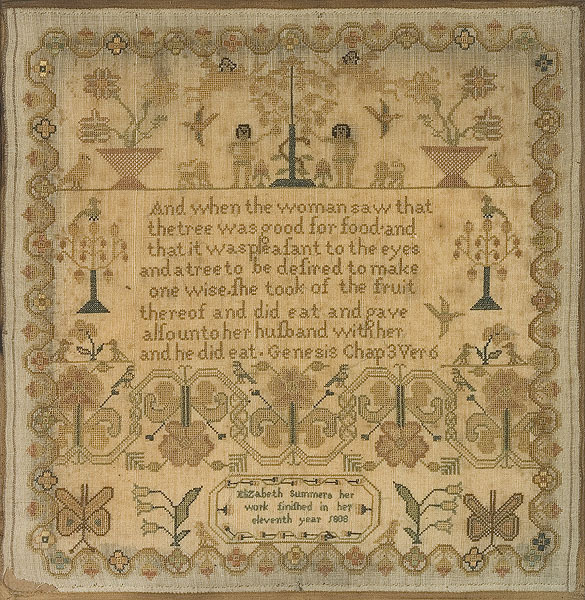 Silver and gold threads were used to represent old and new friendships that enhance our lives. 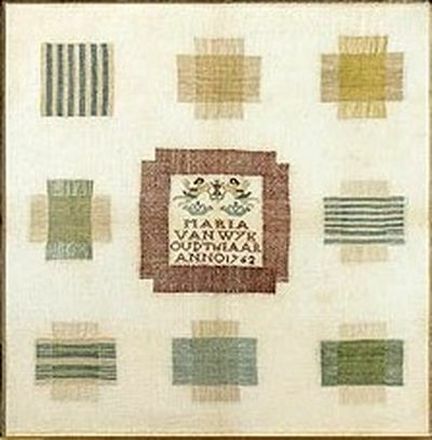 Each individual hexagon was balanced in terms of both color and stitch. Each is outlined in silver with the patterning in gold and blue. A variegated thread kept things from being too static and served to highlight the many depths we experience in our friendships.